When it comes to interior design, there are some old classics that will simply never fall out of fashion. When you’re searching for a great look that won’t fade with time or have to be redone in ten years, leave all the colors behind except for basic black and white. You cannot go wrong with a mixture of these shades, and they’re available in gorgeous ceramic and natural stone tiles so that you can carry the timeless colors throughout the space. Here are a few ways that you can create a stunning black and white bathroom that will be the envy of your friends. Mosaic tiles are usually turned into a random pattern using four or five colors, but you can create the most stunning patterns by sticking with just black and white. While the basic checkerboard may come to mind initially, you can take it a step further by working with two different sizes. Slightly smaller black diamonds set in the corners of a white square pattern will create a stunning look without overwhelming the space. Another pattern involves the use of equal size black and white squares. 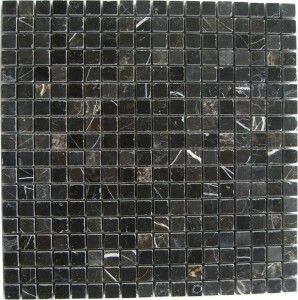 Simply surround each black tile with a perimeter of white to spread out the darker color and create an amazing look. No special cuts are required, so most homeowners can handle this type of pattern. If you’re still concerned about overwhelming a space with the dark colors, then use the same concept to simply create a few shapes in the middle of the floor with black granite tiles. You may choose to make an oval, square, or almost any other geometric shape to add a touch of visual interest while keeping the floor predominantly white. If you’re working with a larger room, then borders are an impressive choice. Whether you make the floor predominantly black or white is a matter of personal choice, but you can use the contrasting color to break up the solid field and add visual appeal to the space. Narrow borders work well for defining a larger space, or you can go with wide borders to outline the area in front of the vanity or another key spot. To find the perfect design, considering putting your floor plan on graph paper. Mark off the bathtub and other fixtures. Then, use pencils to mark in potential borders and see which ones are the most appealing. A simple wide border that creates a rectangle around the largest open area in the room can create the illusion of an area rug and make your bathroom more attractive. While most mosaic patterns focus on the white with the darker color as an accent, you don’t have to choose this type of pattern. Another option is to let the dark shades dominant on the floor. Adding a few touches of white will break it up and prevent it from being overwhelming. This can be the top choice for a larger bathroom that needs to feel a little cozier. If you go with this type of pattern, then focus on the brighter color for your walls, fixtures, windowsills, and baseboards to help keep the bathroom bright and welcoming. If you’re working with skilled craftsmen, then you can create a geometric pattern that will make any room more interesting. Many geometric patterns require exact cuts and detailed patterns, so this is a job best left to highly experienced professionals. As with borders, draw the pattern out on paper ahead of time to see how you like it. If you’re worried about the pattern being too powerful for the space, then have it done in one area only, such as right in front of the vanity. Finish off the rest of the room in basic white or black tile, or go with an attractive white marble with gray veining to help tie everything together. As you consider the pattern on the floor, remember that you’re trying to tie together an impressive look throughout the bathroom. One way to accomplish this is by using white marble or black granite thresholds and windowsills. They’re far more durable than wood, and they look infinitely better than metal. Either one will help you create a unified look in the bathroom that’s sure to please you. Paint the window trim to match the sill to make the window feel larger and maintain the unified feel. You won’t have to do any special cuts to create the right windowsills and thresholds because Nalboor offers these items in standard sizes that will fit most rooms. While you may have wood or even vinyl baseboards now, you may want to consider upgrading them to luxurious natural stone. Matching the baseboards to the floor helps make the room feel larger by carrying the floor finish up onto the walls. The new baseboards will match perfectly, and you’ll love how easy they are to clean. Simply order longer subway tiles, or use window thresholds to create a stunning and powerful look. People throughout the nation turn to Nalboor when they’re ready to purchase ceramic or natural stone tiles. 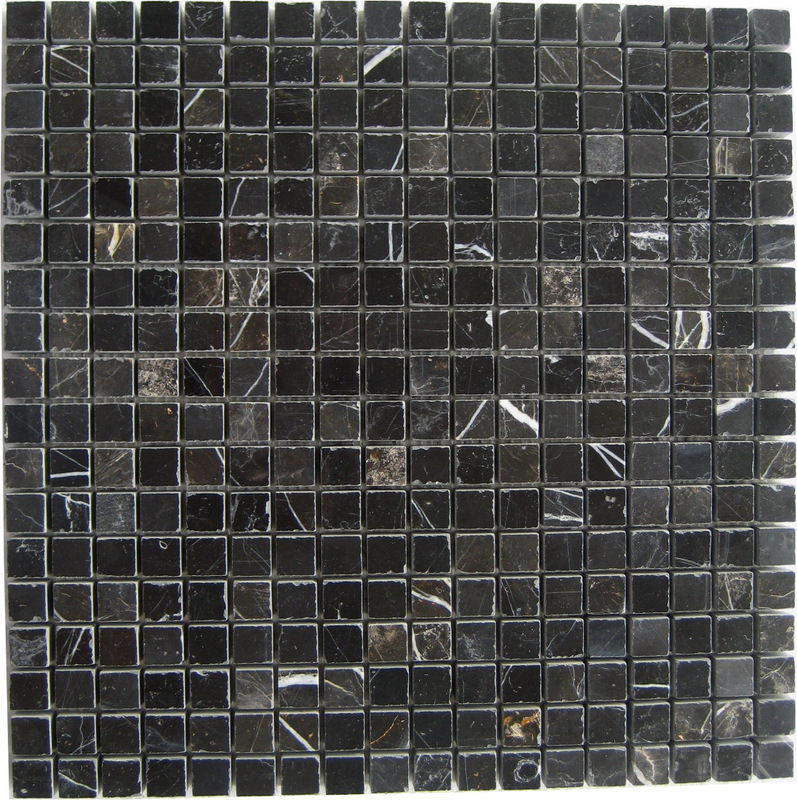 We carry an extensive selection of natural stone and ceramic tiles in beautiful shades of black and white. We take pride in offering an impressive quality for wholesale prices that most local stores cannot match. By working with national shipping companies, we’re able to deliver most orders in a timely manner so that you can get started on your next project. We also strive to provide our clients with excellent service, and we hope that you’ll have an excellent shopping experience with us. In the event that we don’t have the sizes that you need, then speak with one of our highly trained customer service representatives about a special order. We’re happy to customize tiles for you so that you can create the perfect look with a fraction of the work. It takes a few weeks to fill special orders, but you’ll benefit from the same amazing quality and excellent pricing that we have in our warehouse. Contact us now to place an order and see why so many people around the country choose to work with our team when they need stone or ceramic tiles for a project.